Stating the obvious: It’s June. That normally it would be time to set 3 intentions for the new month, but that’s not quite what I’ve got for you today. I promise there’s a good reason for being behind schedule. A reason that’s big and exciting, and ties back to the intentions I set for May. Let’s just say next Monday’s post is gonna be a juicy one! In the meantime, I’ve got two fun DIY projects to inspire your wellness routine. 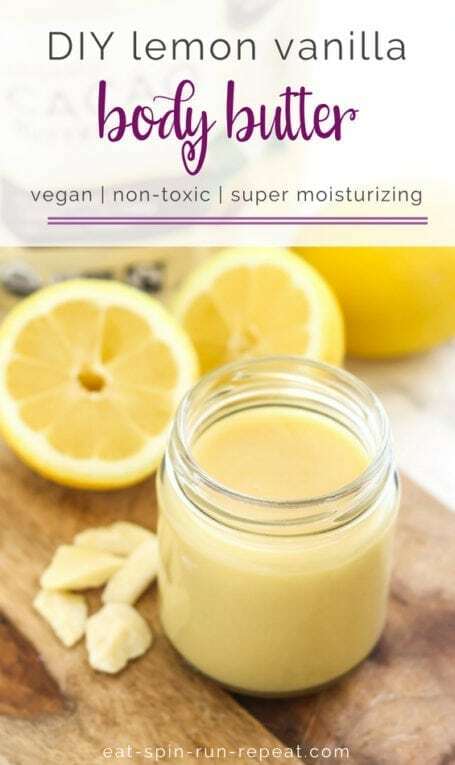 A while back you might have caught these DIY essential oil body mists, lotion bars and natural lip balm recipes I posted. 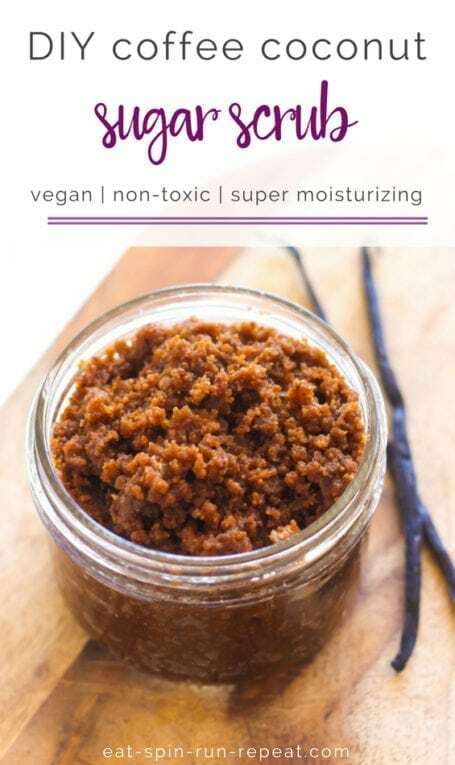 Since those were so much fun to make, I figured I’d keep going with some all natural, non-toxic and oh-so-good-for-you body butters and body scrubs. The ingredients are simple, clean and affordable, and the recipes are insanely easy to make. 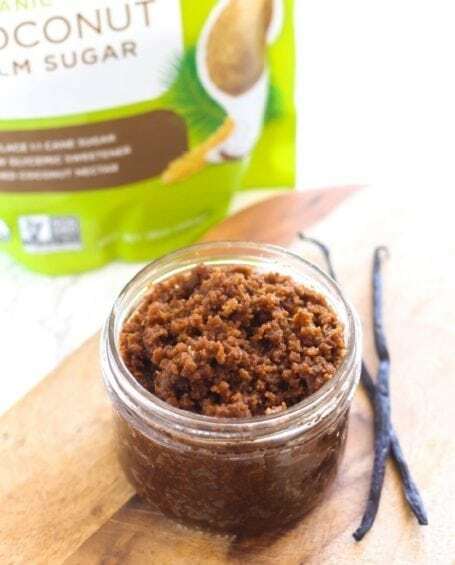 First up: Coffee Coconut Body Scrub that exfoliates dead skin cells off without being too harsh or stripping your skin of its moisture. Quick side note about this one: if you love the scent of coffee and orange or chocolate oranges, I’d highly recommend adding about 20 drops of orange essential oil. Yum! Coffee: Also a natural exfoliant, stimulates blood flow and improves circulation (thanks to the caffeine).., and can make skin appear tighter and smoother. Coconut oil: Moisturizing, naturally antibacterial and antifungal, smells ahhhh-mazing! After washing off the exfoliating ingredients, it keeps the skin feeling nice and smooth instead of parched and dry. 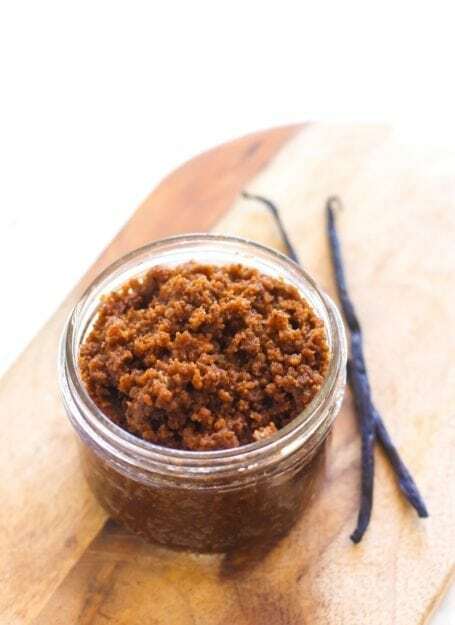 Vanilla: Has antioxidant properties to help repair cell damage, smells lovely, and is used in aromatherapy for its relaxation, anti-depressant and aphrodisiac qualities. 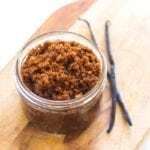 If there’s ever a DIY self-care product that has made me want to stay in the shower all day, this Coffee Coconut Body Scrub is it! Coffee works as an exfoliant and helps to increase blood flow, while coconut oil nourishes and moisturizes. Stir everything together in a bowl until well combined. Note: Coconut oil is comedogenic, which means that if your skin is prone to blackheads and/or acne, it could cause you to break out. 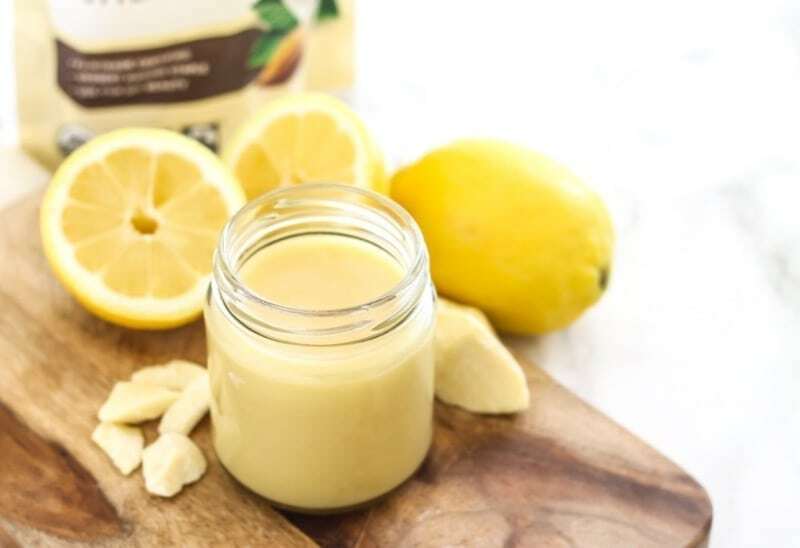 Have no fear – you can easily swap the coconut oil in this recipe for almond, jojoba or extra virgin olive oil. 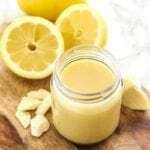 It won’t have a coconut scent to it, but you could definitely add coconut extract or an essential oil of your choice that pairs well with coffee. Next, Lemon Vanilla Body Butter for a little post-shower or post-shave treat. Gone are the days where putting lotion on your legs after shaving leaves them tingling and feeling a little stung. This body butter absorbs well, not to mention smells like a luscious lemon dessert. Shea butter and cacao butter: Super moisturizers, skin-smoothing, anti-inflammatory and antioxidant properties. Contains vitamins A, E and F (shea butter) and vitamins K and E (cacao butter). Can also soothe chapped, flaky or irritated skin. Coconut oil and vanilla: For the same reasons mentioned above! Almond oil: High in vitamins A and E, and has antioxidant properties that protect the skin from free radicals and UV damage. Anti-inflammatory and used as a natural remedy for skin conditions including psoriasis and eczema. It’s very neutral in smell, so mixes well with whatever scents you want to add to your personal care products. 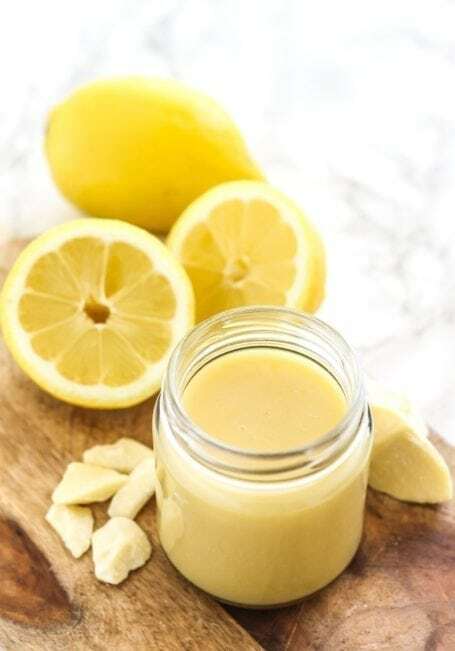 Lemon essential oil: Used in aromatherapy to boost mood and relieve headaches. 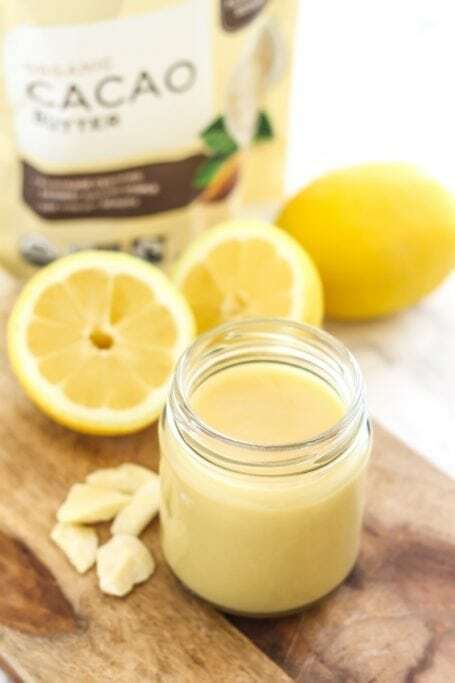 Silky, smooth, and super nourishing for your skin, this Lemon Vanilla Body Butter has an intoxicatingly delicious smell and keeps your skin feeling soft all day long. Perfect for slathering on after shaving or showering. Melt the shea butter, cacao butter, coconut oil and almond oil in a double boiler and whisk until fully incorporated. Remove the mixture from the heat and let it cool (or set it in the fridge for about 30 mins, allowing it to thicken, but not fully solidify. Scrape the seeds from the vanilla bean and add them to the oils/butters, along with the lemon essential oil. Stir well to combine, and set the bowl in the fridge for about 1 1/2 hours to let it thicken up to nearly solid state. Transfer to two 1-cup glass jars, or glass containers with equivalent total volume. Coconut oil is not a non-comedogenic oil, so if you’re prone to acne or breakouts, or if you know your skin doesn’t do so well with coconut oil, feel free to swap this for almond oil or jojoba oil. Store extra body butter in the fridge to maintain freshness. Vitamin E can also be added in order to extend shelf life. So tell me… have you been making any of your own personal care products lately? For the scrub, which grind should the coffee be? Hi Ruth, it depends how exfoliating you want it to be. I like a fairly fine grind so that it isn’t too scratchy, and the coconut oil helps to mitigate this too. It’s a bit of trial and error, but I’d say start fine and if you want it to be more ‘scrubby’, go a little more coarse next time.